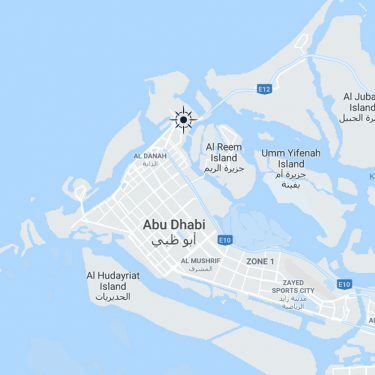 Since its establishment in 2006, Abu Dhabi Ports has been aligning itself with the economic plans and directives of Abu Dhabi Government’s 2030 Economic Vision. We have a holistic approach to the maritime sector and realise that it’s not just about TEUs. 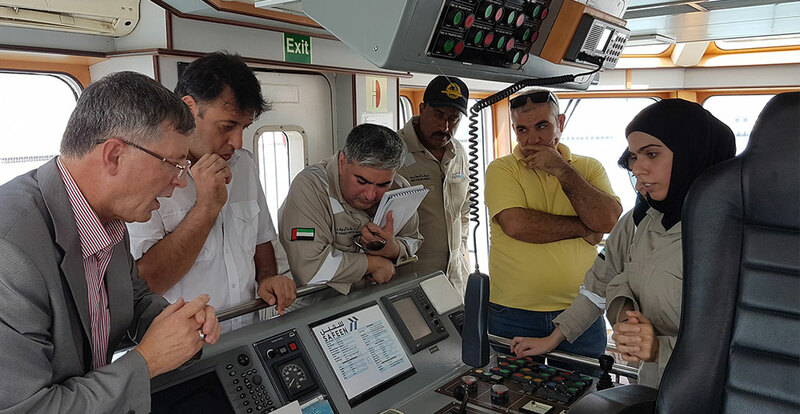 We recognize the need to promote maritime training and awareness in the UAE and the region; so we worked tirelessly since 2012 to develop programmes for the cause. Being in a specialized industry, and as such, it is imperative for us to acknowledge the need to build the next-generation of mariners and future leaders to join the regional maritime industry. 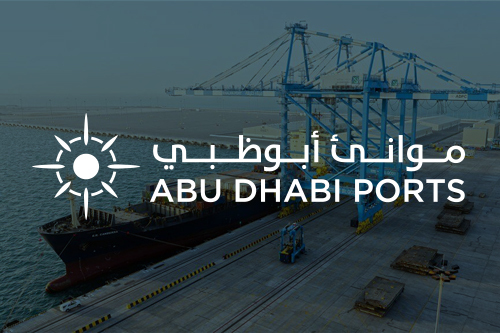 This led to Abu Dhabi Ports establishing the Abu Dhabi Maritime Academy – to contribute to the knowledge economy and position itself as leading maritime education and maritime training provider in the UAE and the region. Our courses are locally and internationally approved by UK Maritime & Coastguard Agency (MCA), UAE Federal Transport Authority (FTA), International Association Lighthouse Authorities (IALA), and Lloyd’s Register. We are the first approved centre by IALA, to conduct Vessel Traffic Services (VTS), and Aids to Navigation (AtoN) Courses in the region and we also deliver International Maritime Organisation (IMO) Model Courses, all of which meet the requirements of the latest edition of Standards of Training, Certification and Watchkeeping (STCW) for seafarers. In addition, the UK’s Maritime & Coastguard Agency (MCA) has accredited the ECDIS and Automatic Radar Plotting Aid (ARPA) courses, as well as the associated certificates, which make it the first training centre in the region to offer such courses with worldwide recognition. 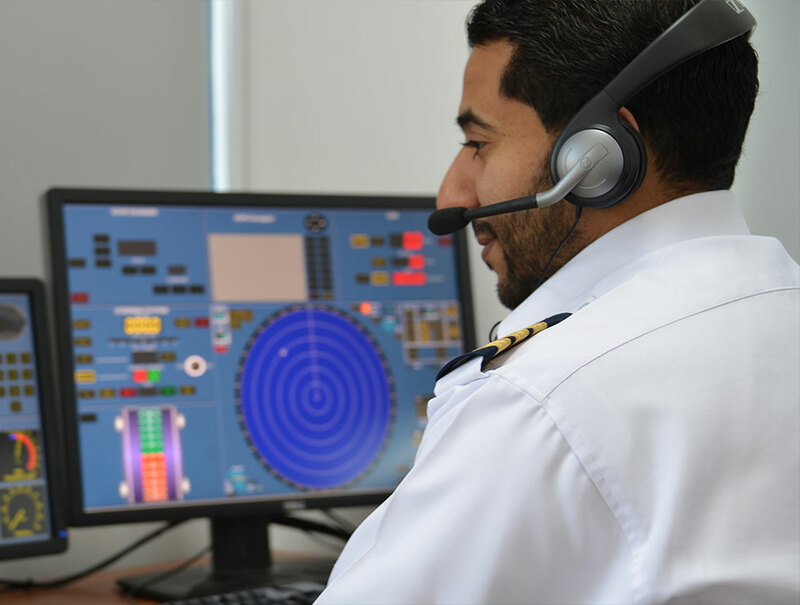 The Abu Dhabi Maritime Academy is a dedicated one-stop maritime training centre that offers programmes across the whole spectrum of marine education and nautical sciences. With a strong academic infrastructure, all the academic instructors and trainers are accredited to train to the highest professional standards dictated by the global maritime sector. The Academy is the first in the region to add state-of-the-art simulators to train marine professionals in all fields of maritime training such as ARPA (Automatic Radar Plotting Aid), ECDIS (Electronic Chart Display and Information System) and GMDSS (Global Marine Distress and Safety System) communications. The courses can be offered based on international training schedules or developed based on the maritime industry users’ needs and requests. The instructors and trainers also teach a wide spectrum of internationally mandatory and non-mandatory courses in leisure and pleasure, enhancement and progression. The Academy can also develop customized training modules based on specific requests and provide an extensive range of short courses for the marine offshore markets. 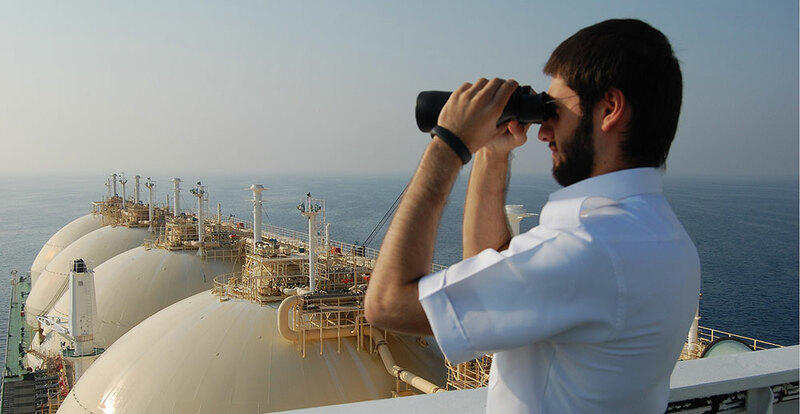 To meet the growing regional demand for young professionals in the maritime sector, the Abu Dhabi Maritime Academy is unique in the region in offering the Structured Cadetship Program (IMO Model) for high school graduates, aiming to become deck officers or marine engineering officers and sail the national and international waters. These courses combine theory and practical with some of the tasks completed on board real ships. On successful completion of the courses, students are awarded bachelor degrees in Nautical Science/Marine Operation for Deck Officers or Marine Engineering for Marine Engineer Officers as well as professional Certificate of Competency. As part of Emiratisation targets set by the UAE leadership, the Academy specifically seeks to train and develop ambitious UAE Nationals interested in the maritime sector through scholarship programs for UAE National students. We have trained students from KSA (mainly Saudi ARAMCO), India, Iraq, and other countries and have facilitated the sharing of best practice in maritime knowledge and education, to an ever growing number of students reaching more than 1,000 trainees, so far. In aligning the efforts with the UAE’s leadership vision to empower UAE national women to become a vital component in the development of the society, the portals of our Maritime Training Centre saw the first three Emirati women graduate as Masters of Coastal Waters and VTS Operator in 2017. Leading the way for future Emirati women to choose new career options in the UAE Maritime Industry.